Paper proposed for formal presentation in Session 15 (TC-4) at the 2002 IEEE International Symposium on EMC by Tony Waldron of Cadac Electronics PLC (a member of the AES-X13 committee) and Keith Armstrong of Cherry Clough Consultants (a member of the IEEE EMC Society). Professional audio systems such as those used in cinemas, concert halls, and theatres have always suffered from interference. But the great expansion in the last decade in the use of microprocessor controlled equipment, phase-angle power control, switch-mode power conversion, digital signal processing, VHF/UHF wireless public broadcasting and cellular telecommunications have very greatly increased the interference problems of pro-audio systems. This has caused great problems for the members of the pre-eminent institution for professional audio – the Audio Engineering Society (AES, New York) – for both systems manufacturers and their users. Another pressure on the pro-audio systems industry has been the considerable increase in world-wide EMC regulations, not least the European Union’s EMC directive with its requirements for immunity performance as well as for emissions. 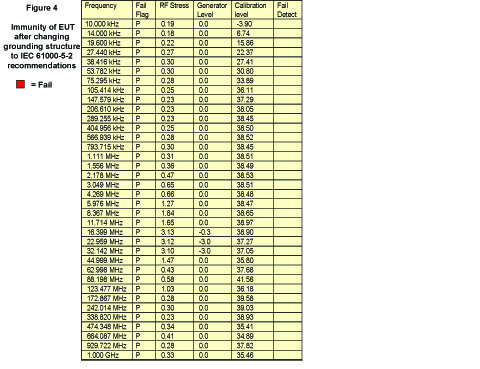 In response to all these EMC pressures, the AES has begun to develop their own series of EMC standards. So far, none of these has been published, but the AES-X13 draft standard – “EMC: Termination of shields/screens of balanced interconnecting cables” – is shortly to be presented to its membership for comment. 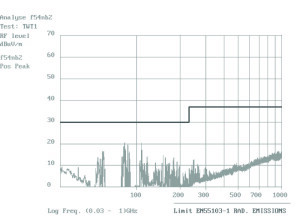 This paper discusses the regulatory, EMC and Signal Integrity issues that led to the AES-X13 draft standard – considers its implications and requirements for audio system design – and compares them with the design recommendations of IEC 61000-5-2:1998. AES-X13 is based on grounding cable shields at one end whilst fitting RF capacitors at their other ends. The purpose of the capacitors is to prevent low-frequency shield currents flowing due to the ground potential differences found in typical large systems. On the other hand IEC 61000-5-2 recommends terminating cable shields in 360o at both ends and diverting any excessive ground currents from the cable shield by using ‘parallel earth conductors’ (PECs) which have a high mutual inductance and a low resistance. EN 55103-1 (emissions) and -2 (immunity). The system was a large digitally-controlled analogue processing sound mixing desk with very many analogue inputs and outputs. 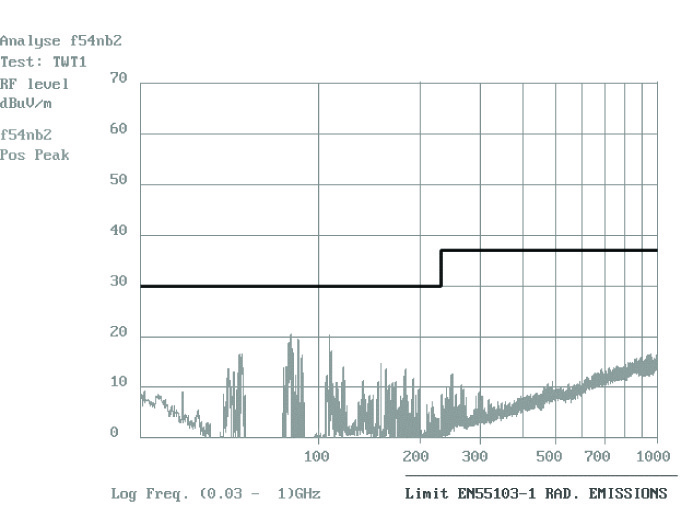 The tests compared the EMC of the system when designed using the single-ended shield grounding techniques typical of the pro-audio industry with its performance after the application of the methods recommended in IEC 61000-5-2. 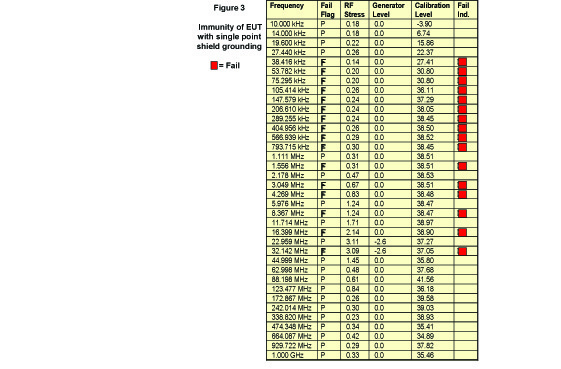 Figures 1 and 2 show the improvement in the emissions, while Figures 3 and 4 show the improvement in the immunity to RF currents injected into its audio cables. 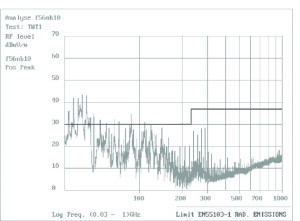 This paper shows that the testing and evaluation of typical modern pro-audio systems are inadequate for EMC compliance and – when installed – also fall well short of the audio performance expected by their manufacturers and needed by their users. 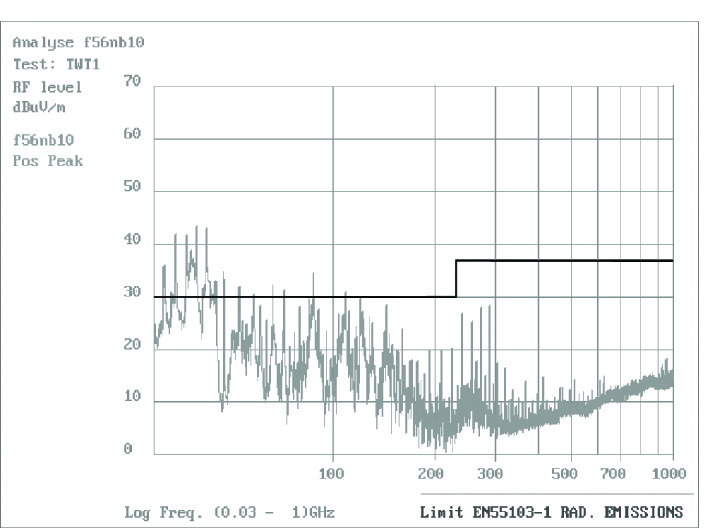 The application of appropriate EMC techniques to pro-audio equipment and systems is shown to produce excellent EMC performance and also to improve the audio performance of the system. These techniques are also shown to reduce the time and costs of the system’s testing and installation, as well as improving its audio performance and reliability. 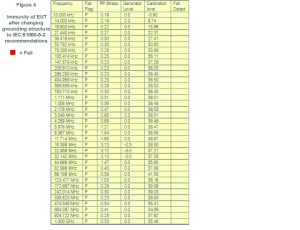 Finally the cost, time, and performance implications of practically implementing the draft AES-X13 are compared with those of IEC 61000-5-2 and conclusions are drawn about their relative merits.